This post shows amazing pictures of Delegates sharing some fun after 2 hard working days. 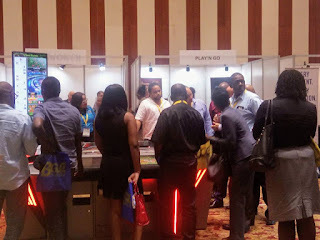 On June 14 and 15 we celebrated the 7th Edition of the Caribbean Gaming Show & Summit, in Montego Bay-Jamaica. More than 300 Visitors from 22 countries enjoyed the experience to do business with us. Stay in touch, we will bring amazing news very soon! 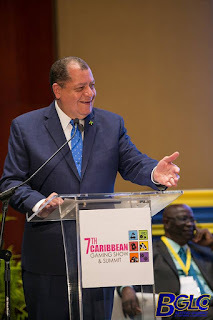 Message from our CEO Official Picture: Mrs. Elizabeth Leiva - CEO of CGS Group and CGS2017, Mr. Bartlett - Minister of Tourism, Jamaica, Ms. Carole M. Johnson - Director, ICT of BGLC, Mr. Shaw - Minister of Finance and Public Service, Mr. Colvi Metcalfe - Chairman of BGLC, Mr. Vitus Evans -Executive Director of BGLC. Mensaje de nuestra Directora General Fotografía Oficial: Sra. Elizabeth Leiva - Directora General CGS Group y CGS2017, Sr. Bartlett - Ministro de Turismo de Jamaica, Sra. Carole M. Johnson - Directora, ICT de BGLC, Sr. Shaw - Ministro de Finanzas y Servicios Públicos de Jamaica, Sr. Colvi Metcalfe - Presidente de BGLC, Sr. Vitus Evans -Director Ejecutivo de BGLC. CGS2017 terminó hace 2 semanas, luego de muchos meses de trabajo diligente y esfuerzos combinados de nuestro Equipo distribuido en distintas locaciones. Nuestro equipo en Perú, en Jamaica y Miami hicieron un trabajo espectacular, arduamente y con largas jornadas, de la mano y al unísono con el equipo de BGLC (Betting, Gaming and Lotteries Commission) de Jamaica, nuestros principales Auspiciadores y gran respaldo.